By 2050, it is expected that the global population will have reached over 9.8billion, with 2.5billion of these people living in cities. As we flock to urban areas, our cities are being challenged by overcrowding, policy issues and the threat of rising pollution levels. 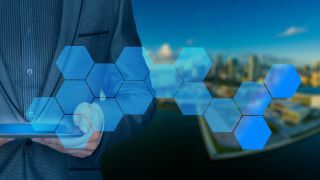 TechRadar Pro spoke with Wael Elrifai, VP for Solution Engineering at Hitachi Vantara, who explained the ways predictive analytics is set to revolutionise the future of urban living. What are some of the biggest challenges being caused by urbanisation today? People are migrating to cities due to career prospects, higher living standards, educational institutions, healthcare facilities, and an overall better quality of life. Yet the steadily increasing number of people flooding into urban neighbourhoods is pushing cities towards crisis point. Some problems are obvious – more cars on the roads equals more inner-city traffic, thus more pollution – yet others are less straightforward, although just as impactful. Rigorous urban growth can leave local governments struggling to provide services to those that need them the most, resulting in an increase in poverty and crime. Smart cities and IoT technology are a hot topic in tech right now, so where does data analytics fit into the equation? Firstly, IoT and data go hand-in-hand. In fact, they’re almost inseparable. Together with artificial intelligence, they form a powerful solution to some of the most daunting challenges facing society today. Like any new technology, both have experienced peaks and troughs of hype over recent years and remain popular buzzwords for companies switched-on to the business value of data-driven insights. But they also play a critical role in the future of city living – and this is something that still isn’t shouted about enough. IoT devices, whether in a company or in a city, can open up a whole new world of data. Sensors in a factory can help avoid down-time and accidents, on the shop floor data from a camera can enable retailers to understand and predict customer behaviour. Now, think about what data from a sensor in the road could tell you about traffic flow, congestion and pedestrian footfall at different times of day, or in different weather conditions. Take that a step further and consider the better-informed decisions and planning that could be made from those insights. That’s the thought process businesses and governments alike need to undertake: this is the data, this is what it means, this is what we can do with it. How can data analytics and IoT be used to make a tangible difference for city-living? The uses of data are, in many ways, still yet to be fully realised. Predictive analytics is as much about creativity as it is about science. In itself data is two-dimensional, and only comes to life when converted into meaningful insights that are applied to solve a specific problem. Take inner-city traffic lights as one example. A red light is something any busy driver dreads, yet to avoid accidents and ensure a seamless flow of traffic, lights must be timed with utmost precision. Imagine being able to see a hidden correlation between the timing of traffic lights and air pollution. IoT technology coupled with data analytics can help us identify such patterns and find real-world solutions. In this example, that can mean optimising traffic lights with pin-point accuracy, in real-time, to reduce stationary traffic – that means less frustrated commuters and cleaner air. Data deployed creatively can help us to better understand our urban environments, and ultimately solve problems – the possibilities are really only limited by imagination. What are some the roadblocks to implementing this technology in cities? There is certainly no shortage of obstacles. As is the case with any new technology, there are always unknown factors hindering widespread adoption. This is particularly true when we look to deploy IoT and data analytics to solve real-world problems within cities. There often isn’t an off-the-shelf product: cities are incredibly diverse, and the challenges each one faces are uniquely their own. There simply cannot be a ‘one-size-fits-all’ product and finding the right solution takes time and investment. We’re not yet at a point where this technology can fix the issues arising from rapid urbanisation for everyone – however I’m optimistic, looking forward, that some of the remarkable innovations we’re already starting to see will gain momentum. But a better understanding of machine learning, commitment to research and improved global connectivity are just some of the challenges we must overcome first before we can reach that point.